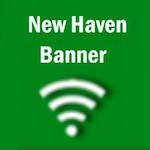 New Haven Preservation Society - Santa Claus is Coming to Town. New Haven, Mo. - Santa will be at the Walt Theatre on Sat., Dec. 10, from 1 p.m. to 3 p.m. The doors will open at 12:30 p.m. The New Haven Preservation Society is sponsoring cartoons and a visit with Santa for the annual Santa at the Walt event. This annual event is held for children each year and continues a fun tradition in New Haven from years ago. This is the fifth year running to bring Santa back to the Walt Theatre. There is no charge for attending this event. Children must be accompanied by an adult. A cartoon medley will be shown at 1 p.m. Following the film, Santa will come to visit and each child will be able to say "hello" to Santa. The Preservation Society will have a traditional gift bag for each child. For further information please call 573-450-6633.